A lovely small dog with a huge personality, the American Eskimo Dog is a versatile and engaging companion. Despite their name, they have no direct connection with the indigenous people of the Arctic! The American Eskimo Dog, affectionately known as the "Eskie" or the "Dog Beautiful," is a member of the spitz group of dogs. They originate from Germany and have nothing to do with Eskimos. They first became popular in the U.S. in the 19th century as circus dogs who delighted audiences with a wide array of tricks, including walking along tightropes. They were also used as farm dogs to herd livestock and for general protection. The Eskie was recognized as a breed by the American Kennel Club in 1994. The breed comes in three different sizes. 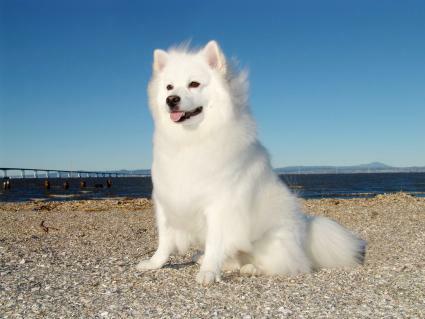 They are known for their distinctive shiny white long coat, black nose and lips, and curled, fluffy spitz tail. The dogs often appear to be "smiling" and have an alert expression with their pointed, small ears. 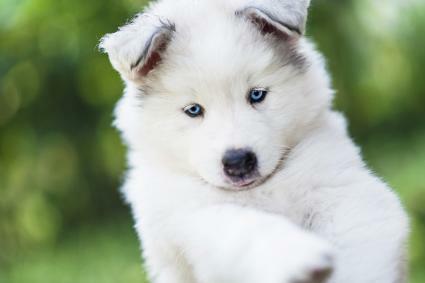 Some members of the breed have a coat color known as "white with biscuit cream," which is a mix of the snow white and a more ivory-hued white tone. American Eskimo Dogs are often mistaken with Samoyeds, and vice versa, but they are two separate and distinct breeds. Because of their long double coat, this is a breed that will require regular grooming. They shed all year long, so you must be comfortable with lots of dog hair in the house. A regular brushing at least twice a week is necessary, but they do not require trimming, shaving or stripping. Like many other white breeds, they can get tear stains under the eyes. One of the unique features of the breed is the fact that they take longer to mature than many other breeds. This means they can be very puppy-like until they're two, whereas many other dogs mature around one year of age. American Eskimo Dogs are very friendly, happy and outgoing, making them wonderful family pets. They tend to do well with other dogs, cats and children, although they don't tolerate manhandling and rough petting. As such, they typically do better with older children. These dogs can be a bit wary of strangers. One trait that potential owners should be aware of is their tendency to bark. 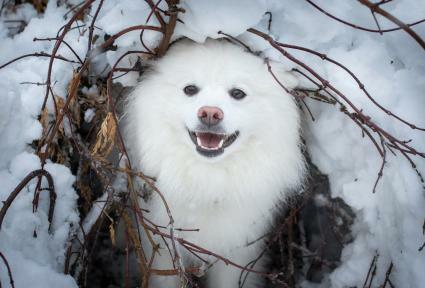 American Eskimo Dogs can be very vocal and bark excessively when over-excited, suspicious or when left alone too long. In addition to barking, they're also known to make various other noises like grumbles and howls to engage in "conversations" with their human family. 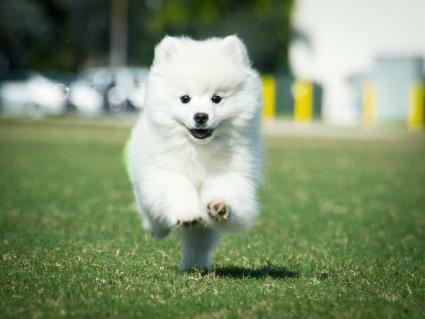 Despite their small size, Eskies are active dogs that need daily exercise. They can do very well in an apartment or condo if taken on daily walks and if they have playtime with their owners or with other companion dogs. They also tend to chew, and you will need to provide them with many appropriate chew items to keep them happy and avoid destroying your belongings out of boredom. American Eskimo Dogs have a reputation for being extremely smart and very trainable. They can be found doing many dog activities including agility training, competitive obedience, tricks, and therapy dog work. These are dogs that require training from puppyhood because they are so intelligent, and they can easily become bored. It's important to use positive reinforcement such as clicker training as they are sensitive dogs who won't react well to harsher methods. Skin allergies can cause painful scratching, irritations and hair loss. Pyruvate kinase deficiency is usually a genetic disorder that leads to anemia and lethargy. Patellar luxation is a dislocation of the kneecap. Diabetes can lead to blindness, weight loss, and lethargy. If you are looking to purchase a purebred American Eskimo Dog, you can find breeders on the American Kennel Club website, Canadian Kennel Club website, United Kennel Club website and through the American Eskimo Dog Club of America. The AEDCA can also help with referrals for rescue groups with Eskies up for adoption. Another source for rescue is the Petfinder website. If you're looking to purchase a puppy, expect to pay in the $600 to $2,000 range. 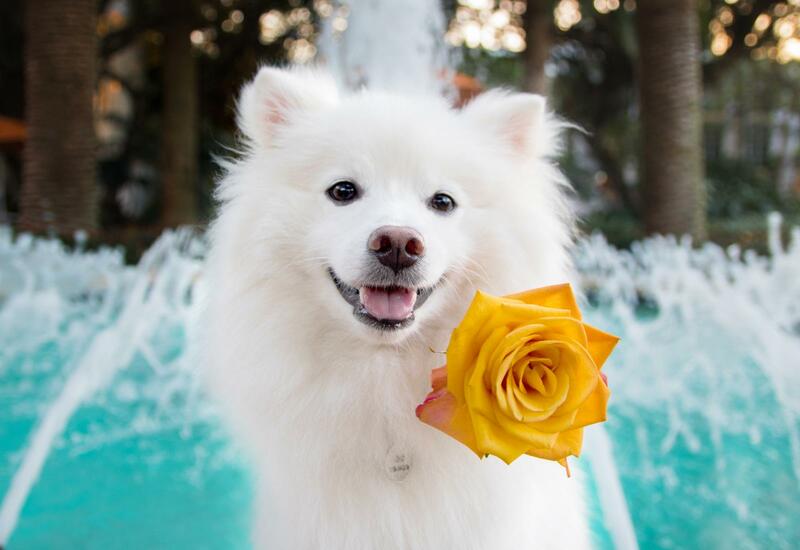 American Eskimo Dogs are true charmers who have a winning personality, intelligence and a lot of energy. If you're comfortable with their grooming, training and exercise needs and don't have toddlers in the home, the American Eskimo Dog is a wonderful canine companion.